Definition at line 57 of file llconsole.cpp. Referenced by LLVOAvatar::idleUpdate(), LLConsole::LLConsole(), and LLConsole::setLinePersistTime(). Definition at line 55 of file llconsole.cpp. 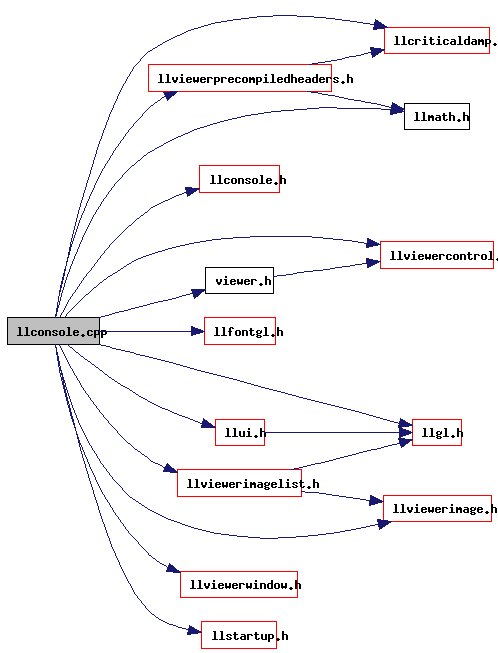 Referenced by LLFloaterChat::addChat(), LLAgent::endAnimationUpdateUI(), LLConsoleMaxLinesListener::handleEvent(), LLChatPersistTimeListener::handleEvent(), LLChatFontSizeListener::handleEvent(), LLViewerWindow::handlePerFrameHover(), LLViewerWindow::initBase(), and LLFloaterChat::onVisibilityChange(). Definition at line 58 of file llconsole.cpp.